How can I make my MMD model have automatic breathing? How do I modify my PMX model so she can breathe automatically? How to make a Vocaloid breathe! This article will teach you how to use a Japanese MMD mod which allows a MMD model to automatically replicate breathing. To add the mod is actually very simple but to help fully understand this wonderful mod, we are going to break this article into several sections. You do not have to read this entire article to be able to use the mod, but we are deliberately writing it this way so that you can fully understand what this mod actually does, how to add it to a MMD model, how the mod works as well as enough information for you to be able to figure out why it might not be working on a model to which it has been added. 1. How to add the mod to a MMD model. 2. What the mod actually does and how it works. You will only have to read section 1 to add the mod to a model. Also, the Luka model pictured at the top of this article has had this mod added to her and you can download this model to see exactly how this mod works when added to a model correctly. SECTION 1: How to add the mod to a MMD model. The PMX model to which the mod is to be added must have the bones listed immediately below. If the model that you are converting does not have these bones, these should be added using the PMD/PMX Editor’s semi-standard bone plugin BEFORE adding the mod. Models with more advanced PMX bone systems such as those normally associated with (a good quality) TDA style model will have these bones. If your model does not have these bones, these can usually be added using the Semi-standard bone plugin. However, a word of caution with regards to the semi-standard bone plugin: the plugin makes it very easy to add a more advance bone structure to a model that does not originally have these bones. However, the plugin’s algorithm is rather generic and does not always lead to desirable results with some of the more advanced bone structures; so use this plugin with caution. If you are adding this mod to an edit that you are working on, we highly recommend that you only add this mod as the last step unless you have a full understanding of bone orders and bone deformation hierarchy. There is a plugin associated with this mod which aids the installation process but the use of this plugin is not covered in this article. READ THE STEPS BELOW AND FULLY UNDERSTAND WHAT IS REQUIRED BEFORE ATTEMPTING TO ADD THE MOD. STEP 2: MERGE the bone structure model (フルオートブレスユニットv130.pmx) into the model. This will add an additional set of bones to your model; these will appear at the bottom of the bone list in the bone tab. After merging the mod, a whole ton of bones will be added to your model. Most will be under the model, but some with be embedded into or near the torso of the model. This screen capture of the PMDe bone tab after the mod was added on the Luka model shows the location of the “Blessed Parent” bone. All the bones above it in the bone list will need their Deform hier. value altered. The Gr Parent field is used to bind the controller bones to the model. Please read the rest of the instructions for details. a). For any bone that has an existing Deform hierarchy value that is higher than “0”, add “+2” to its value. So for example if the existing value is “1” you will use a value of “3”. b). DO NOT change the Deform hierarchy value of the “mother” and “view cnt” bones. These must remain “0”. Also these bones should be listed at the top of the bone list in the PMD/PMXe’s bone tab display. a). Bones at the end of an IK chain. Usually the leg IK chain; also on some models at the end of a hair IK chain. b). The eye bone structure. STEP 5: Locate the controller bones in the bone list (they should be in the section marked “breathborn” towards the bottom of the bone list). Note the last few character’s: “ブレス”; these are the mod’s equivalents of the model’s structural bones. The first characters identify these bones. This printout of the Luka model’s bone list shows the full list of the auto-breathe engine’s controller bones. To bind the auto-breathe engine to the model, simply associate these bones to their equivalent in the main body structure. For the mod to work you must locate the named structural bone and bind them correctly to its equivalent controller bone. Note that your model might not have all the equivalent bones in the controller bone list. This is OK. Just find the equivalent structural bones that you do have. To bind the controller bone to its equivalent structural bone, simply enter the bone number of the controller bone into its equivalent structural bone’s Gr Parent field. So for example to link 上半身ブレス to 上半身 enter the bone number of 上半身ブレス into the Gr Parent field of the 上半身 bone. Once you press enter, the PMD/PMX Editor will display the name of the parent bone immediately to the right of the field input box as confirmation that the link is established. STEP 6: If you have done all the steps correctly, then save the model (under another name) and then load it up in MMD. The mod should work automatically and you should be able to see your model “breathing”. The breathing characteristics can be modified using the facial controls which were provided for the purpose. SECTION 2: What the mod actually does and how it works. Put yourself into a relaxed stance and breathe in deeply, then breathe out again. Pay attention to what your upper torso does when you do this. Notice exactly what is happening to your chest cavity and shoulders. The mod is designed to replicate exactly what your body is doing when breathing. How the mod works is that the mod itself is a perpetual motion machine. The bulk of the bones in the mod are devoted to these functions. To make the mod work with a MMD PMX model, only three steps are actually required. 1. Add the mod to the model. 2. Change the bone deformation hierarchy – this forces MMD to calculate the positions of the bones in the models standard structure before calculating the positions of the mod’s controller bones. 3. Bind the mod’s controller bones to its corresponding bone in the model’s structural bone frame work. This allows the mod’s perpetual motion engine to drive the model’s structural bone system allowing the automatic breathing motion to work. A very simple and elegant solution to an otherwise extremely complex set up. SECTION 3: Trouble shooting tips. First, make sure that Physics are set to “ON”. The mod’s engine does not function when physics is turned off in MMD. 2. The mod is for PMX models only. You cannot add it to a PMD model. 3. The mod assumes a correctly structured PMX bone structure. a. The model to which the mod is to be added should have the requisite bones required for the mod to work (and these bones need to be correctly bound to their corresponding bones as described above). b. Many existing DA model edits have really badly organized bone structures – so be forewarned. Adding the mod to these types of models will most likely lead to poor results. To fix these types of models will usually a major repair/re-structuring exercise. If you want to add this mod to a DeviantArt sourced model, add it to only either a top quality DA edit or original model. With most Japanese edits and original models, there should be no issues provided that the model conforms to the basic requirements for the mod. a. The bone Deform hierarchy – simply compare the original model’s bones to the modified model’s. Make sure that the values are correct, especially the leg IK and eye structure bones. On many models the leg IK bones have a Deform hierarchy value of “1”; on the modified model these should be “3”, unless the value on the original was “0” in which case it must be “2” in the modified edit. b. The eye structure usually has “1” for the eye controller bone and “2” for the L/R eye balls. In the modified edit these should read “3” and “4” respectively – unless these were originally “0” in which case the correct value should be “2”. On the modified model, make sure that the “after ph” toggle (to the right of the Deform hier. field) is not “ON” unless it was “ON”, on the original model. It will be extremely rare that this toggle is “ON”. If this toggle is “ON” it will force MMD to treat the bone as being under the MMD physics engine’s control and this could result in unexpected behaviors. This could happen if the modification process was seriously messed up or that the model to which it was added to has a seriously flawed bone structure to begin with. As we have indicated, not all MMD models will be compatible with this mod. Ripped models from games are usually poorly rigged or were original built to use a different bone structure than the one used for MMD. As such we do not recommend that the mod be used with this type of model. 8. The mod was made for models to be used in MMD; as such the mod may not work in MMM. There is no fix for this. 9. Cautionary note about adding an upperbody2 bone using the semi-standard bone plugin. Many early MMD models do not have this bone as standard (such as the default Animasa models bundled with MMD). Wherein it is possible to add this bone using the semi-standard bone plugin, very often this might not work elegantly without further weighting adjustments. What this means in practice is that model’s upper torso mesh may break when the torso is placed into some positions and this will be glaringly obvious. 10. ABSOLUTELY DO NOT mess with the positions of the bones used to create the auto-breathe mod. The mod’s engine is delicate; moving these bones can break it. 11. If you are converting a 3DCG model (which have 3 upper body bones) to use this mod; for best results, treat the model’s upperbody2 bone as the upperbody bone and the upperbody3 bone as the upperbody2 bone for the purpose of binding the mod to the model. For making this wonderful mod for MMD. For helping with this article by making a complete conversion of one his model edits to use this mod. He also helped point out some of the possible pitfalls, provided all the screenshots, proof read the drafts for this article, researching compatiblity with different model types and even converting Tda Chibi Miku Append to use the mod. The Convergence Luka Append model that he modified with this mod can be downloaded using the link provided below. Also be sure to check out his DA gallery. There are tons of top notch model edits and stage conversions that can be downloaded there. For helping clarify the function of the Deform Hierarchy variable. 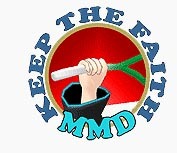 Do check out his DA gallery and his articles here on LearnMMD if you want to really gain a good technical understanding of the technologies underlying MMD. His handle on LearnMMD is “Bandages”. For making the Mandarin language video tutorial showing how to use this mod. Hey there! I tried out the plugin, and it worked excellently for me. After downloading both the plugin and the auto-breather PMX file, I unblocked them in properties, and then put the plugin in my plugins folder under PMX editor. After doing this, I opened PMX editor, and opened a sample PMX model that had all the required semi bones and requirements. After the sample model was loaded, I went to Edit>Plugins>フルオートブレスユニット導入支援 (the name of the plugin) and a pop up with 2 buttons in Japanese appeared. I pressed the topmost button, and it opened up the file navigation box. I navigated to where I had saved the Autobreathing PMX mod, and opened it. I then pressed the lower button, and it instantly added the mod to my model. In Transform view, it did not function, but in MMD, it functions perfectly. 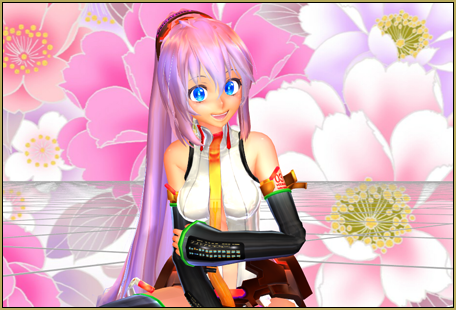 I tried out the Convergence Luka model in PMX editor’s transform view, and she did not breathe in there- only in MMD. I tested both my sample model and Convergence Luka in MikuMikuMoving, and they seemed to function well. Please note that if you put the plugin in user or system instead, it will show up there instead of the general plugins drop down menu. The plugin is so simple that it only takes 1 or 2 rounds of trial and error to figure out what to do. I always keep a copy of my PMX editor on standby before adding any plugins, in case something goes wrong, so I would recommend making a copy and saving it elsewhere before adding this plugin. So far, I have encountered no errors, other than if you press the lower button before loading the autobreather pmx file, and attempt to redo the process, it will not let you add it even if the autobreathing system isn’t there- always make sure to load the autobreathing PMX file first, and on a copy of your model! [I’m a thai people] but most i understand but not this…. but it doesn’t work anyway…. I think i’m wrong ..
Hello… The tutorial is there. Sorry if it is difficult for you to understand. We might be able to answer a specific question, but I cannot answer such a broad, general question as you have asked. Please ask one specific question at a time.